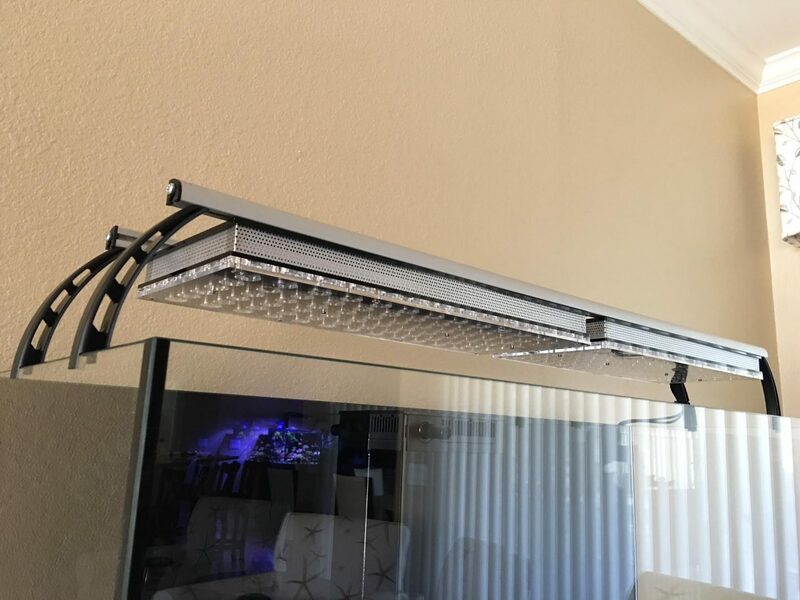 Check out this beautiful installation of 2 units of the Orphek Atlantik v 3 series light. 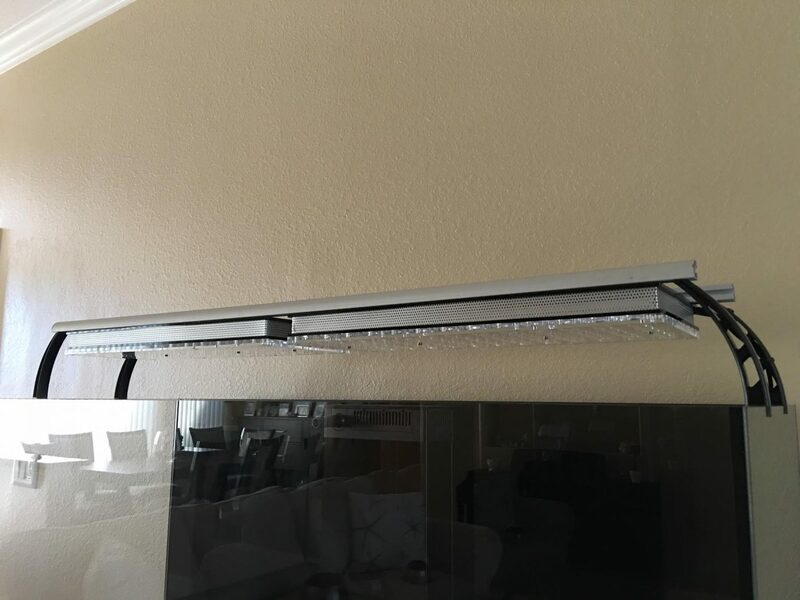 It’s so easy to adapt our lights to various aftermarket mounting systems that Brad in the USA was able to achieve a look that satisfied himself and his wife. The tank is a Red Sea Reefer Series 525XL. 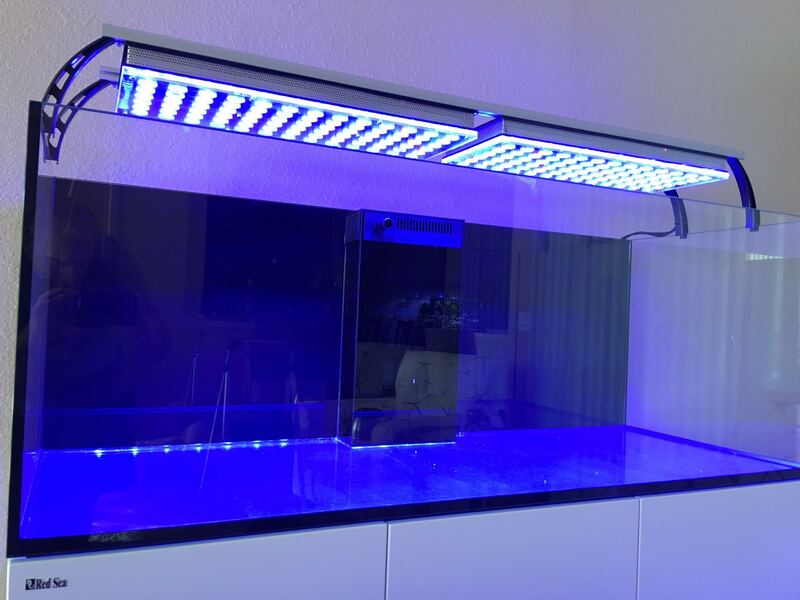 Aquarium volume is 139 gallons and measures 59”x22”x22”. 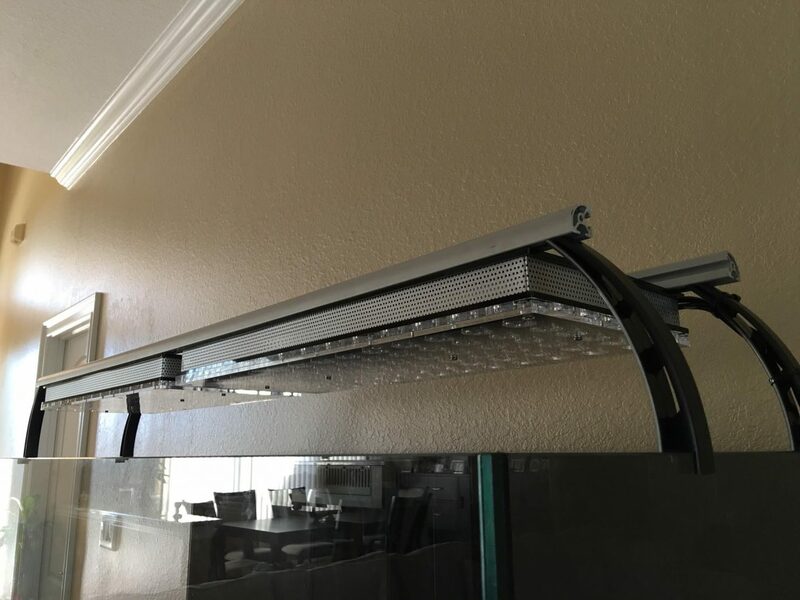 The look of the lights and rail system gives an overall clean, sleek look to the tank. Achieving a clean, well presented look is very important in order to keep our spouses happy and this definitely achieves that look very well. Brad used a standard rail system from Aqua Illumination to adapt and mount the lights achieving this look. By replacing the nuts on his Atlantik v3 with 4mm nylon lock nuts, Brad was able to instantly mount the lights on the rail securely. The Atlantik v3 is able to provide enough PAR and intensity for the higher end SPS that Brad is planning for the tank. The Wi-Fi control and programming will allow him to set a light schedule that both fit the needs of the coral and the viewing times for him and his family. The late night movies will be accompanied by a gorgeous blue/purple actinic look that can only be produced by the Orphek Atlantik series of lights. With the ability to create a daytime look between 10k and 20k, the daytime hours of the tank will also allow for some of the most beautiful viewing available. Colors on coral will still pop while the fish and inhabitants add their daily routines to the beauty. We are sure that this is going to be a beautiful system and look forward to future updates from Brad.